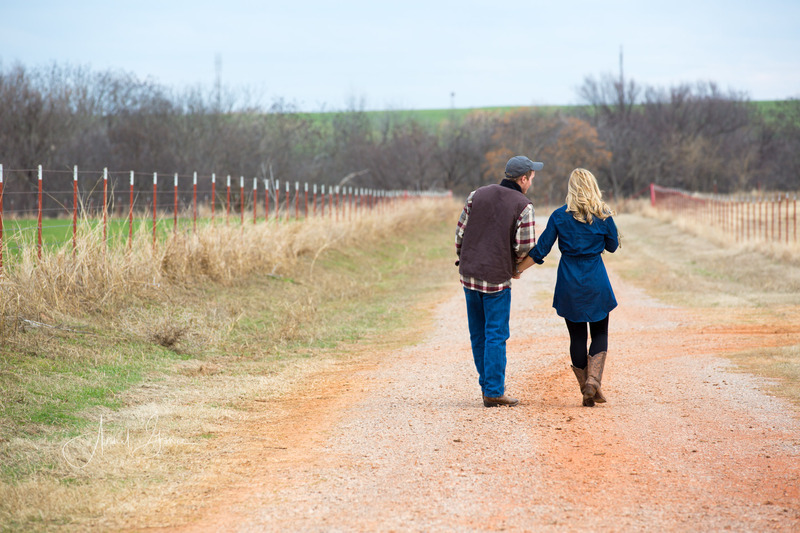 Traveling to do Engagement sessions is a fun way to see other places and break out of rut, which is why I chose to travel to Oklahoma to photograph Stephanie and Matt’s engagement session. 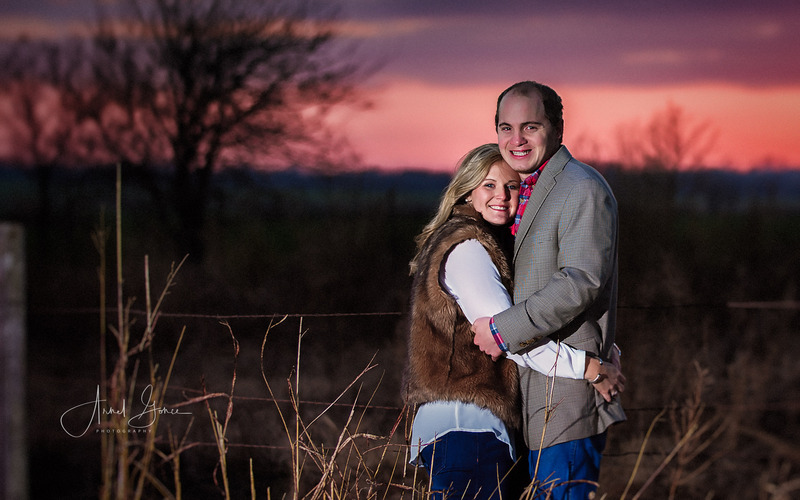 Stephanie and Matt are both from Oklahoma, which made it the obvious location for their photo shoot. The landscape of Oklahoma is wonderfully different than Charlottesville, Virginia. It’s flat plains go on for miles, and makes for some interesting photographic vistas. The Lovely Bride to be waiting for her groom to pop the cork on the Champagne bottle! Champagne Toast! No need to ice the bubbly, as it was freezing outside! 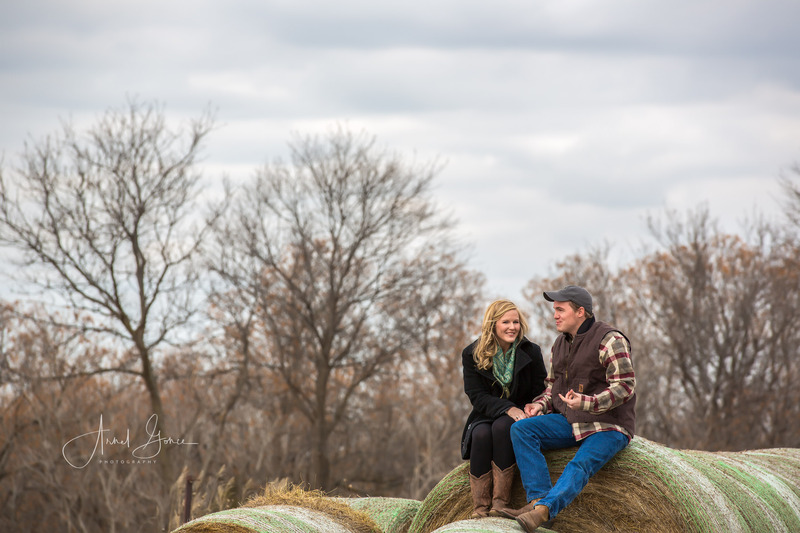 Sitting on a bail of hay having a conversation about the wedding details and a life together! A walk hand in hand on the long driveway. 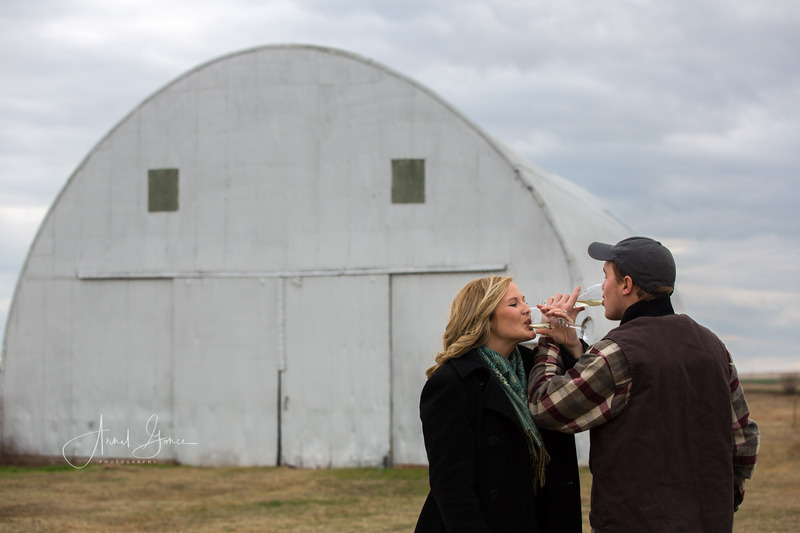 A Quiet moment during the engagement photography session for the Bride and Groom to be. 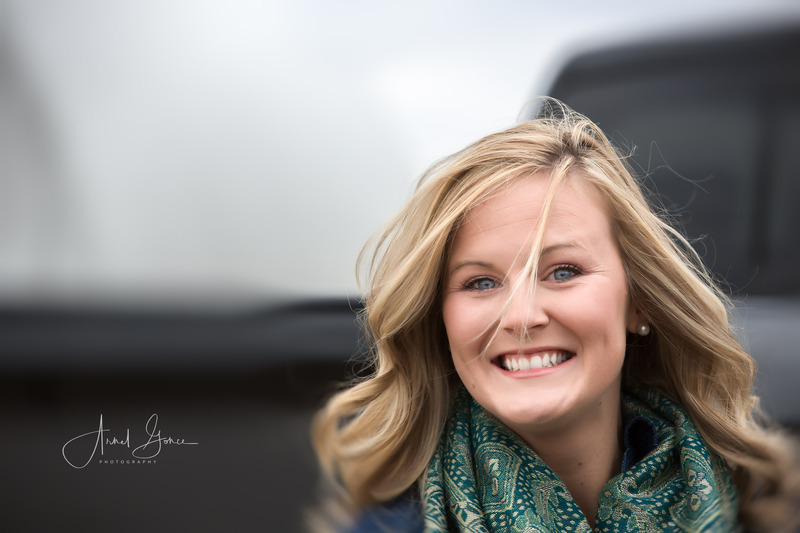 Loving this light on the farm during this photography engagement session! 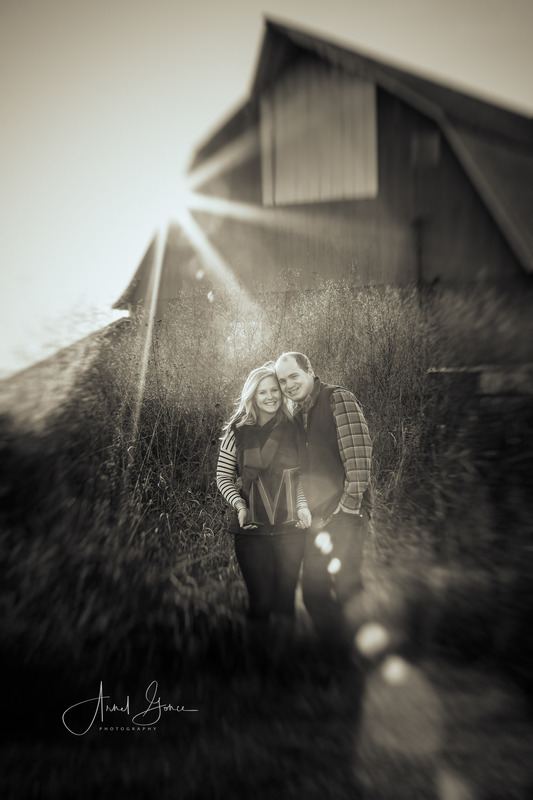 Shadows cast through the barn door during the sunset photoshoot make a lovely photo opportunity. As we made our way around the barn, I could see the sun was creating a starburst on the edge of the barn roof, making a lovely flare. The sky turned a gorgeous pink color as the clouds from earlier in the day lifted and the sun set. The dramatic skies against sweeping plains are so beautiful here! 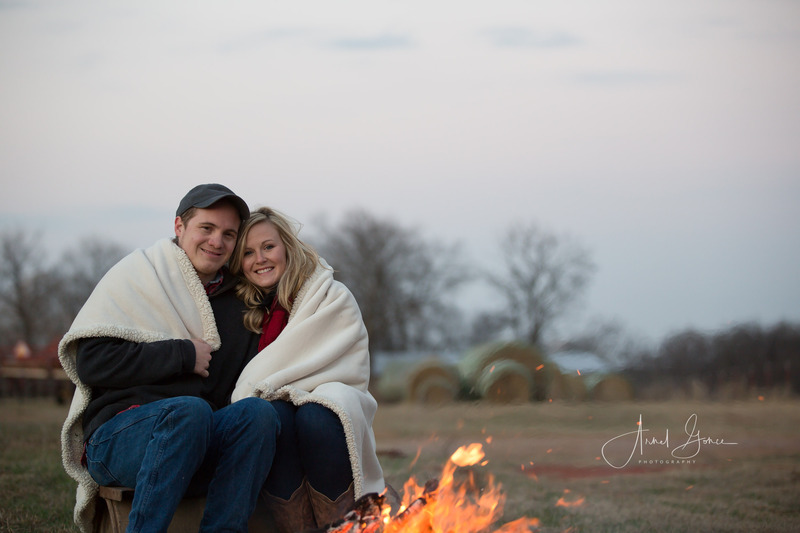 Of course the perfect end to the day was a campfire with a blanket to snuggle under, against a backdrop of hay bales.